Scripture don’t agree with another concave sphere so it has to be convex surface. We would be those “under the earth” while those “on earth” would mean those on convex surface of earth. I think this will solve the mystery behind 24/7 light of the hollow earth said in The Smoky God book. Surely you have read Etidorhpa book which talks about what is called “soft white light” with no apparent source William Morgan and his guide the eyeless being encountered starting 25 miles below the surface. 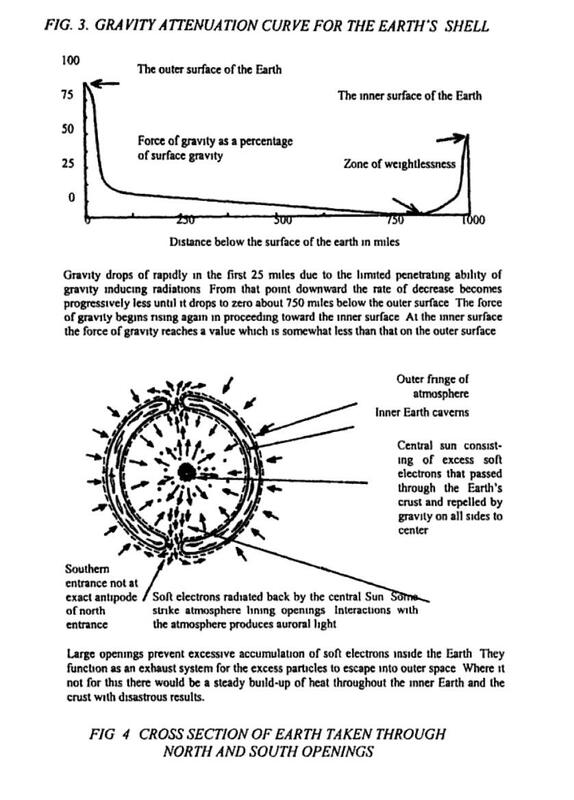 Joseph Cater in his book The Ultimate Reality says that light/radiation from the Sun not only is reflected by the Earths crust but also continues to penetrates Earths crust. Even Etidorhpa talks about this if i remember right. Joseph Caters says that soft electron disintegration is what causes that soft white light. It will continue to penetrate until it is out on the convex side and illuminate convex surface from all sides at the same time leaving no place for night so even if there happens to be reddish smoky sun, there will be no night. http://i.imgur.com/Nd2t7Av.jpg Joseph Cater is hollow earth believer but you can just invert the diagram in the image and think instead of soft electron sun, its concave soft electron layer above the convex surface illuminating that world, no shadows will exist on convex side. Beyond that would be the bottomless pit or void/hell if there really are no other outer stars or planets.